Lobby your legislators for this and for other concerns you have tomorrow, Thursday, March 21. Hop on the free 11-1 bus and lunch from UMB here or attend the 10 am -2 pm full day here (you also get lunch but no bus!). Librarians—you can ask for release time from work from your supervisors, and your supervisor has been encouraged to allow this (it will not be taken out of your personal, sick or vacation time). ► Meeting on sexual harassment policies and procedures, TODAY, Wednesday March 20: 12-1 pm: The administration is proposing changes to the sexual harassment policy and procedures to the FSU. Come discuss with the FSU team your thoughts and needs on this issue in Wheatley, 5th floor room 41. Pizza will be served. ►Retirement counseling from the MTA. Sessions are available in their Quincy and Worcester offices to help members decide the best time to retire, determine if you have buy-back opportunities, provide information on retiree health insurance, Medicare and Social Security benefits, and answer many other questions. Please see here for more information and to schedule an appointment. ►We are seeking input on this budget and will be holding a meeting on Tuesday, April 2nd, 2 pm (Campus Center, first floor meeting room, 1313) for input as well. You can also email your thoughts to fsu@umb.edu. 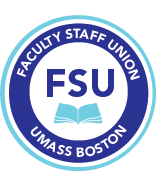 A final version of the proposed FY20 budget will be sent to members in advance of the FSU Annual Meeting (members can contact FSU for copies of the working budget).